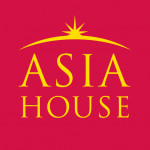 Home /Asia/East Asia/Taiwan/Has the U.S.–China–Taiwan relationship changed? To this end, China has also used hostile language, issued threats, and repeatedly conducted military exercises around the island. Lacking the political and economic chips to play the retaliation game, Tsai has to rely on U.S. support to help maintain her administration’s stance. Luckily for her, the political winds have been shifting in Washington. The Donald Trump administration is waging a trade war against China, and fear of “the China threat” hasn’t been this popular in decades. It seems that many Americans are ready to embrace the enemy of their enemy, which in this case is Taiwan. Indeed, earlier this year Trump signed into law a bill that encourages high-level communication between the U.S. and Taiwan. Named the Taiwan Travel Act, it is a follow-up of sorts to the Taiwan Relations Act of 1979. Both acts ambiguously and loosely imply a U.S. guarantee of maintaining Taiwan’s political status and military ability to maintain its national security. Is there a structural change to the U.S.–China–Taiwan trilateral relationship in the making? Specifically, is Taiwan making a significant move closer toward Washington with even closer political ties? Let’s examine three key takeaways from Tsai’s five state visits. 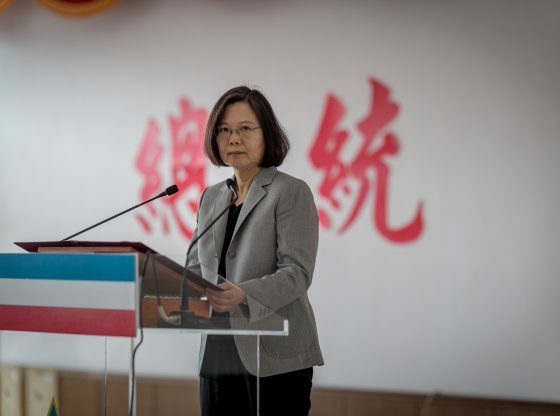 Tsai has not used her trips to rewrite the rulebook for Taiwanese presidential state visits, and she has not overtly used them to counterbalance China’s diplomatic campaign to shrink Taiwan’s international stature. Taiwan’s presidents generally make state visits twice a year, except around election time, and the frequency and destinations of Tsai’s visits have also been by the book. Ma, during his 12 state visits, stopped in New York, Boston, San Francisco, Houston and Guam, among others. Tsai has not tried to use her routine trips to allies as a means of expanding Taiwan’s international presence. For her visit to Swaziland in southern Africa, she flew non-stop all the way from Taiwan. However, Ma in his visits to Africa, made stopovers in Mumbai and Frankfurt. In other words, Tsai has seemingly demonstrated restraint in an apparent attempt to not escalate the diplomatic battle with Beijing. Second, the U.S. has not sought to enhance its diplomatic relations with Taiwan—or to signal enhanced diplomatic relations with Taiwan—by giving Tsai special treatment compared with her predecessors while on American soil. For example, among the political activities Tsai engaged in while in the U.S., she met with the chairman of the American Institute in Taiwan—a routine event. She called and met with local and national politicians including governor, mayors, congressmen and senators, with Capitol Hill heavyweights among them. This was also routine for previous presidents, with former U.S. President Bill Clinton meeting President Chen Shui-bian and phoning President Ma several times. Tsai has visited federal government facilities (Reagan Library and NASA space center), corporate headquarters, and given public talks. Again, her predecessors had done the same level of visits. The Presidential Office spokesman announced that three “breakthroughs” had been made on the latest trip: the U.S. had lifted restrictions on Taiwan’s press throughout Tsai’s stay, Tsai had been allowed to visit Taiwan’s official representative office in the U.S., and Tsai had been permitted to visit the Reagan Presidential Library—part of a federal government body (the National Archives and Records Administration). In reality, however, these were far from breakthroughs. As a matter of fact, the U.S. had never actively enforced restrictions on Taiwanese media, the office is considered “official” only by Taiwan, and multiple previous Taiwanese presidents had visited that same library. Pointing to such “breakthroughs” and arguing that the U.S. is playing the Taiwan card would be an exaggeration, at least at this stage. Although Tsai’s trips have not themselves indicated an escalation of cross-strait hostility nor a firming of the U.S.–Taiwan coalition against China, the pressure on Tsai to deter Chinese advances and further consolidate her domestic support have clearly increased during her time in office. The sum of all Taiwanese allies’ GDP is equivalent to only around a quarter of Taiwan’s own economy; there is no argument that they do not highly value the financial help they receive from Taipei. In her first and second U.S. stopovers, Tsai stressed the concept of steadfast diplomacy, which entails giving up on the one-way foreign aid Taiwan has traditionally provided to its allies. But later, as the pressure from Beijing began to increase, she stopped talking about the new idea of mutually beneficial ties and instead began to promise more concrete aid. Tsai needs the support of the U.S. In her remarks during the first and second trips, she only briefly mentioned her “joyful short stay” in the U.S. By contrast, during her fourth visit, she expressed sincere appreciation to the Americans for her transit stops in Hawaii and Guam. During her most recent trip, Tsai made special note of her talks with “old and new American friends” in Houston and Los Angeles. Previously, during her 2017 Pacific trip, she mentioned Taiwan’s plan to increase military spending, telling AIT Chairman James F. Moriarty that the government was eyeing a 2%–3% rise in the coming years and was ready to allocate a special budget for a necessary weapon purchase. In 2018, meeting Senator Cory Gardner in Los Angeles, Tsai again promised Taiwan would move forward with the weapons deal to please her friends in Congress. So, all things considered, the basic structure of the U.S.–China–Taiwan relationship remains as it was at the beginning of Tsai’s term. The U.S. still enjoys playing the mediator and China is still anxious over the Taiwan issue. Taiwan is under pressure to ratchet up the support it receives from the U.S. but knows well that such efforts will bring yet more pressure from Beijing. Tsai is invariably steady-handed in dealing with cross-strait relations. Indeed, remaining calm and carrying on in her duties is likely her only choice. China’s security footprint in Africa: Towards an evolution of the application of its non-interference principle?